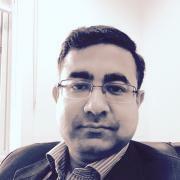 Dr Partha Das 12 years experience in General Adult Psychiatry. He has been working for Public sector organisa tions in Rehabilitation and Crisis team Psychiatrist roles. He has experience in dealing with high prevalence disorders Depression, Anxiety disorders and severe mental illness such as Schizophrenia, Schizoaffective disorder, Mood disorder like Bipolar disorder in an Adult age group 18-65 years. He has extensive experience in developing management plans and enhanced treatment plans for complex patients including severe personality disorders. He has trained in Cognitive remediation, CBT and mindfulness-based work to guide his development of management plans. He has special interest in Addiction Psychiatry particularly reviews for Xanax, dealing with Alcohol dependence and community based detox, Benzodiazepine dependence treatment. He can participate in shared care arrangements with public sector teams, GPs and Clinical psychologists. He works with culturally and linguistically diverse populations and has understanding of specific needs of families and individuals from these backgrounds. Dr Das is now taking appointments for private clients at 195 Specialist Centre. He is currently not taking clients under Work cover/TAC schemes. He works every Saturday between 1-5 pm. Additionally he consults at Glen cairn Consulting suites, Coburg on Monday and Thursday 6-9pm. Any urgent matters will still need to be referred to TRIAGE.